← Flower girl dress and matching bow tie! As you already know, I opened my Etsy shop: GoshiArt recently. Below, closer look on one of the items, which you can order from my store :). 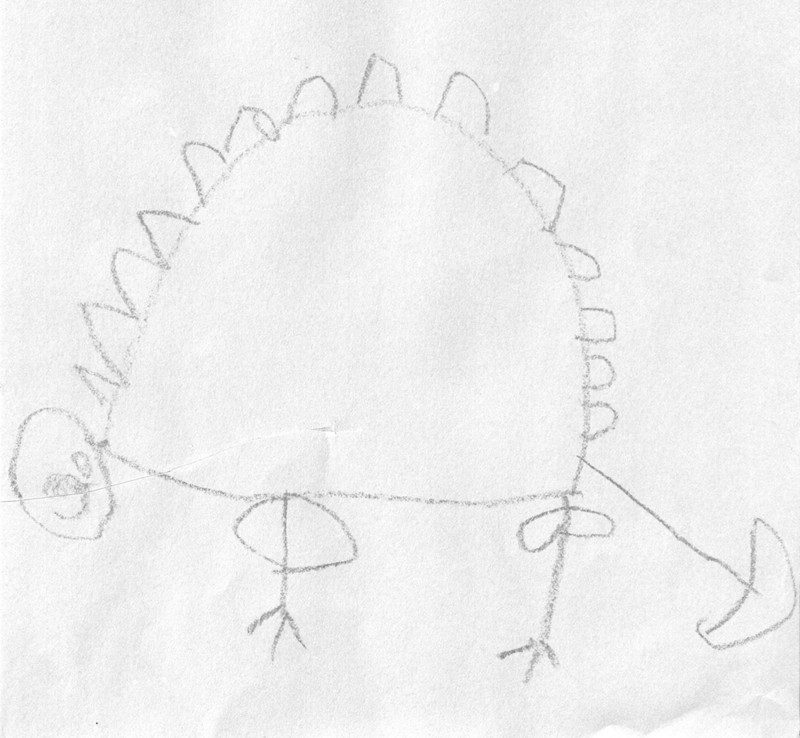 This is a drawing of a dinosaur, which my son has drawn when he was 4. 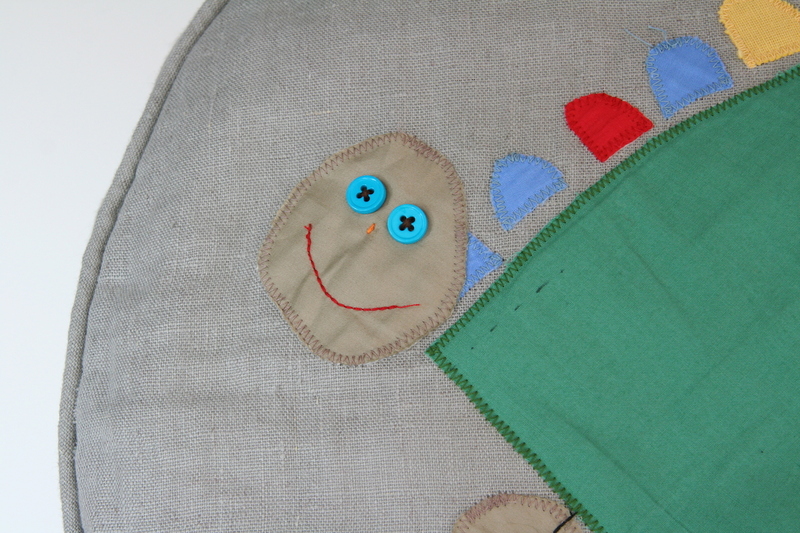 One day I decided to make a surprise for him – a floor pouffe with an appliqué inspired by his dinosaur drawing. To make the floor pouffe, I used a grey linen as main fabric plus some various color cotton pieces, velcro tape, two buttons, interfacing and matching threads. 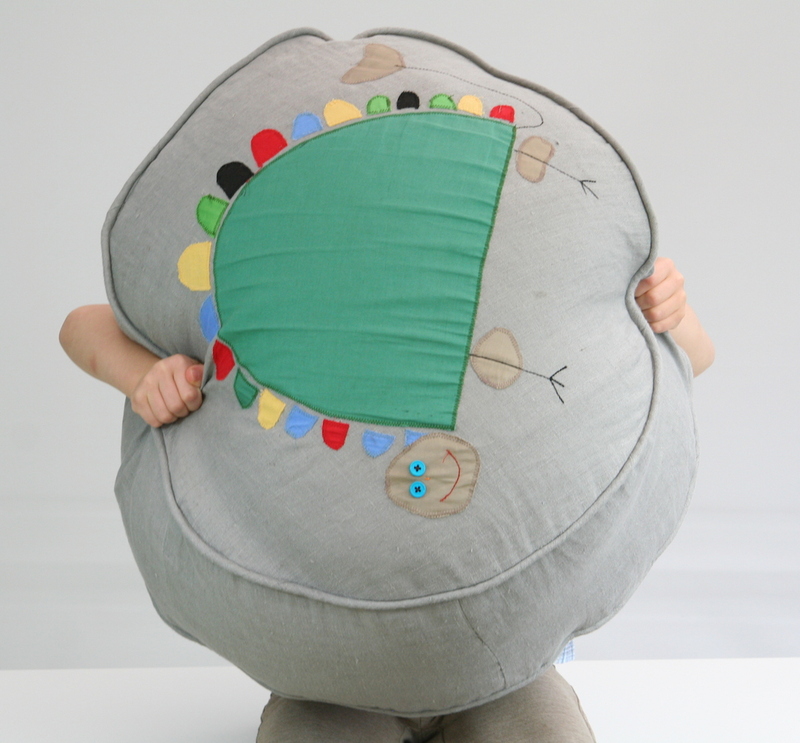 The pouffe has an appliquéd cover and lining filled with Styrofoam balls. 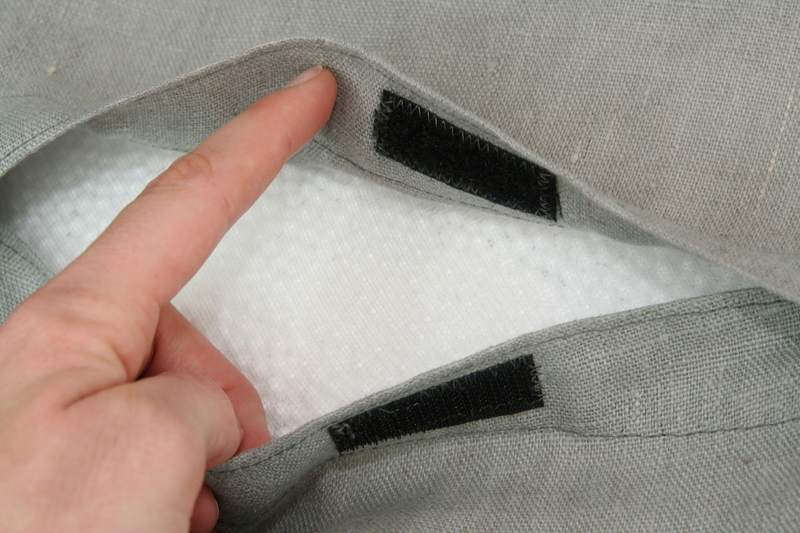 There is an opening at the bottom of the floor pouffe’s cover, which allows you to remove the stuffed lining from the cover. 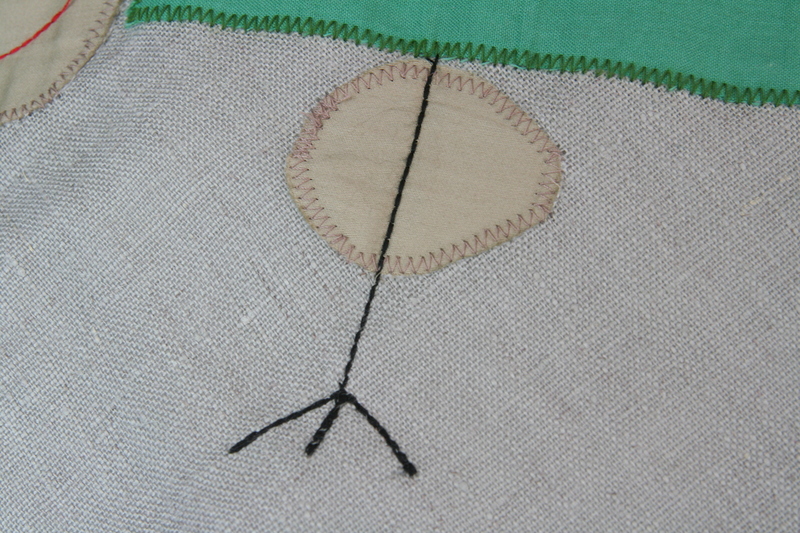 Close up of a pouffe’s appliqué cover. As a filling I used tiny Styrofoam balls. I put all those tiny balls into a very stretchy lining, which prevents them from spilling out and makes the floor pouffe’s cover washable. The only thing you have to do is remove the lining from the cover. Easy! The pouffe is quite big, 60cm in diameter and 20cm in height. Oh, I forgot to mention the piping: I made it from a thick cotton cord and the same linen fabric as the cover. My son likes his floor pouffe very much. 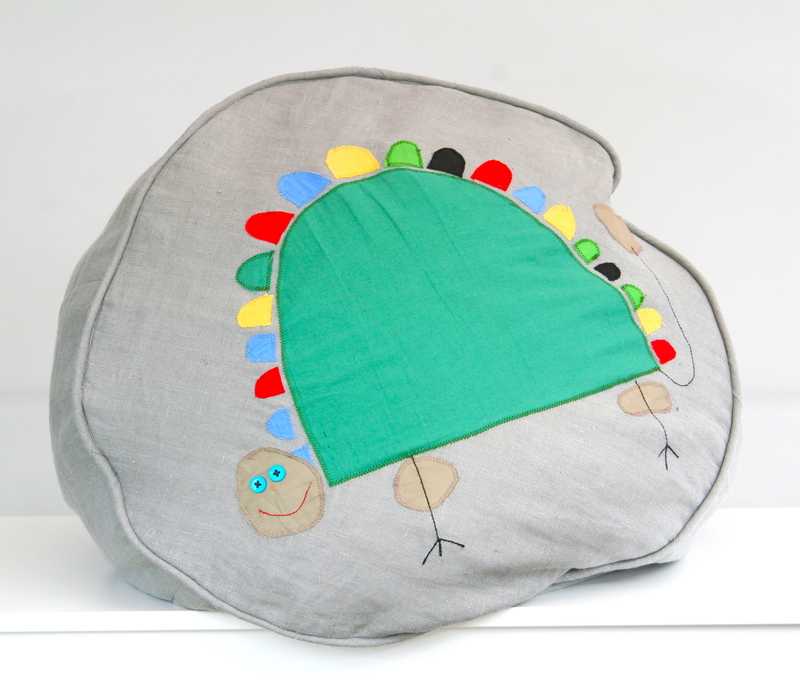 The Styrofoam filling makes the pouffe extremely lightweight. He carries his pouffe around the house all the time. He takes it with him even to his school to seat on it while he is reading books with his friends.